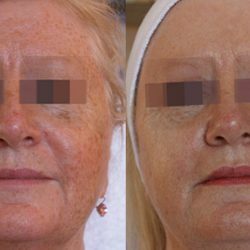 Skin discoloration treatment with Lumecca is a superior solution to improve skin complexion, reduce skin irregularities and look years younger. 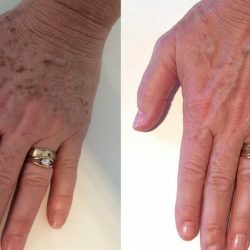 After just one use, Lumecca can lead to significant improvements in the complexion and clarity of the skin, improving the appearance of age spots, sun damage, vascular lesions, rosacea, freckles, and uneven skin tone. 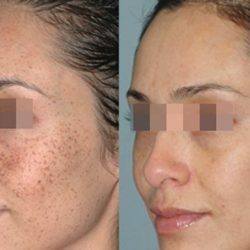 What areas can be treated with Lumecca? 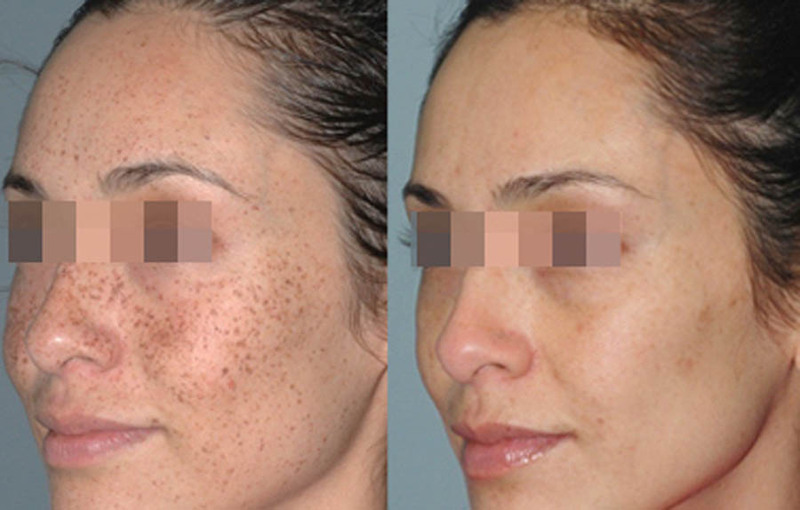 During treatment there will be a bright flash of light from the Lumecca that feels like a light elastic sensation. 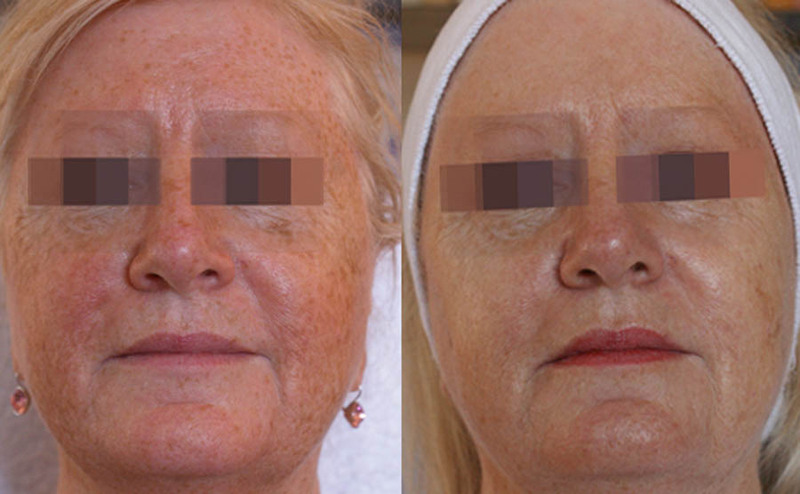 Redness and a slight warming of the skin are normal after treatment and usually subsides within an hour. 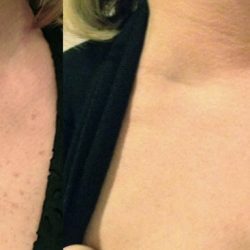 Over the next 24-48 hours you may see a darkening of pigmented spots. 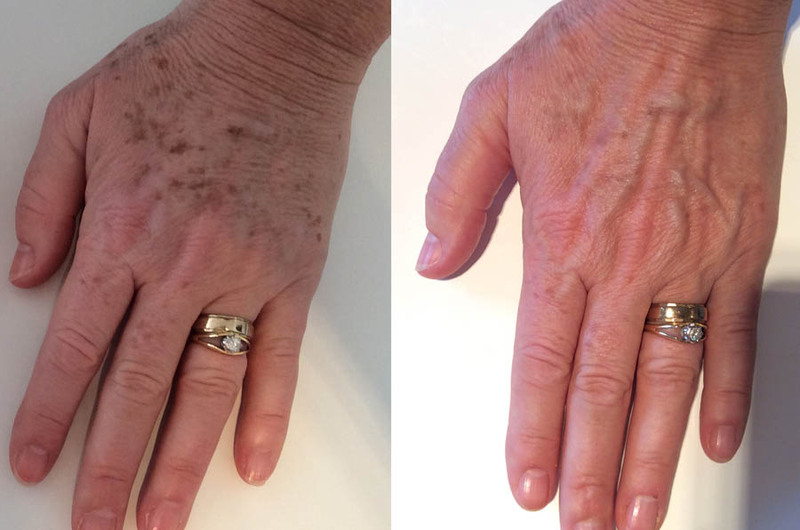 In the week afterwards the pigmented lesions flake off, leading to an evening out of skin tone. 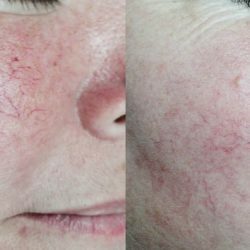 After treating vascular lesions you may see the vein blanch and disappear or a color change in the vessel which dissipates after a few days.